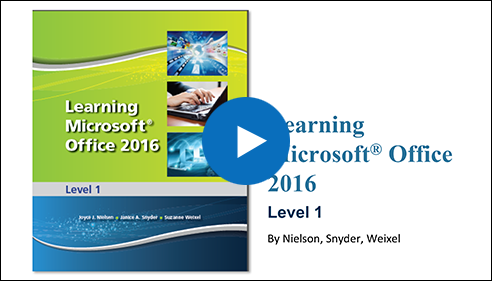 Learning Microsoft® Office 2016, Level 1 teaches advanced skills of the Microsoft® Office 2016 Suite in the context of business scenarios. 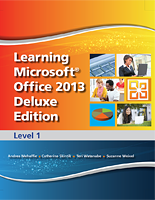 The text covers Microsoft® Office Specialist Core level certification for Word, Excel, PowerPoint, and Access. 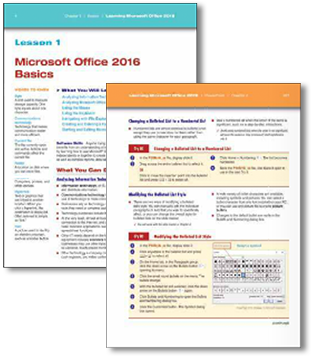 The Student Resources Site provides Data files & Enrichment content, including Computer and Internet Basics, Keyboarding Practice, Language Arts and Math Review, Spanish Glossary, and Outlook Section. 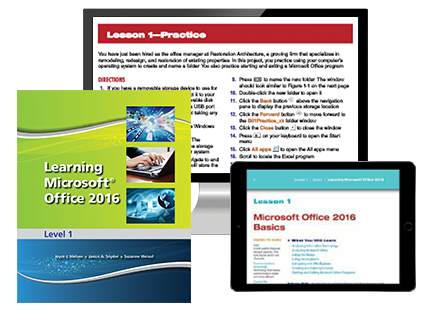 Chapters are comprised of short lessons designed for using Microsoft Office® 2016 in real-life business settings. 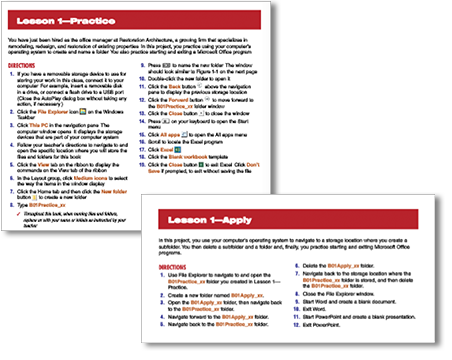 Each chapter opens with details of the skills, vocabulary, and key concepts that readers should master after reading the chapter. 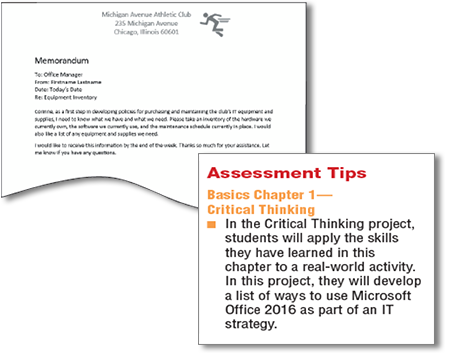 Throughout each chapter, projects and activities encourage students to practice newly learned skills.